Agreseal is a deep penetrating, solvent based acrylic sealer that provides a glossy wet look to the aggregate. Agreseal is recommended as a two-coat system which will provide a durable surface, ideal for pedestrian and light vehicle traffic. Agreseal repels water and enhances aggregate and concrete colour, whist protecting the surface against most stains such as grease and oil. Etch uncoated surface with Nu-EcoSafe Etch or Nu-EcoSafe Ultra Etch as outlined in the relevant TDS. Observe ambient application Conditions noted in the TDS. If the surface is affected by white efflorescence, broom over with clean PaveCoat Thinners to dissolve and dissipate all salts before sealing. Stir thoroughly prior to use. Apply 1 even coat using a soft bristle broom, roller or spray at the rate of 3 – 5m2/L. Note: Avoid ponding or pooling. Light mist spray or roller application technique will not ensure adequate surface penetration or long term coating performance. 2nd Coat: Apply without solvent dilution in the same manner as the first coat. 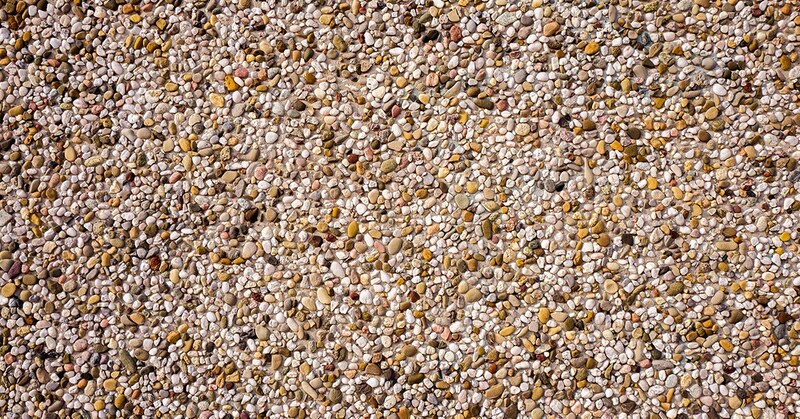 If inadequate seal thickness is applied on new exposed aggregate, some efflorescence (salt whitening) may occur. This white powder can usually be washed off easily and should cease after several months. The application of one or two additional coats of Agreseal can prevent the appearance of efflorescence or white salts. Prior to commencement: Determine whether the existing Aggregate has been previously sealed. To determine an existing coating: Refer Nutech Coating Test Kit for detailed instructions or contact Nutech Paint. These types of coatings or sealers should be completely removed. Stripping with Nu-EcoSafe Strip Industrial (refer to the relevant TDS) is recommended, to remove all of the existing coatings. This surface will require reactivation to improve intercoat adhesion between compatible sealers. Prior to reactivation, the existing exposed aggregate surface should be and free from lichen, moss, oil and other debris. Refer to Nu-EcoSafe Moss Rid and/ or Nu-EcoSafe Degreaser TDS for further recommendations. NOTE: in order to reactivate an existing compatible sealer, the use of Reactivating Solvent will aid in improving adhesion to the existing sealer. A test patch should be performed and assessed prior to sealing. Should the test patch fail, removal of the old sealer, acid etching and high pressure water cleaning will be required prior to applyingAgreseal. Thoroughly clean using Nu-EcoSafe Degreaser. Refer to the relevant TDS for further recommendations.